Some of the best-selling gifts we offer extend across several categories such as technology, barware, refreshments and glassware. Keep in mind, you can present your party favors in a number of clever ways in lieu of simply handing them out when your guests depart. Continue reading below as we reveal our all-time favorite favors we know wedding planners will love. What's a wedding without the ability to capture mobile photos of your favorite moments? The answer is a true disappointment, unless your phone has a backup battery to keep it fully charged! Fully customizable mobile chargers and power banks make a life-saving wedding favor that all of your client's guests will appreciate and use during the celebration! Personalized power banks are a considerate way to thank guests for attending the event, plus, they help keep their phone charged throughout the duration of a long celebration. Not having to think about battery life is a great gift, after all! 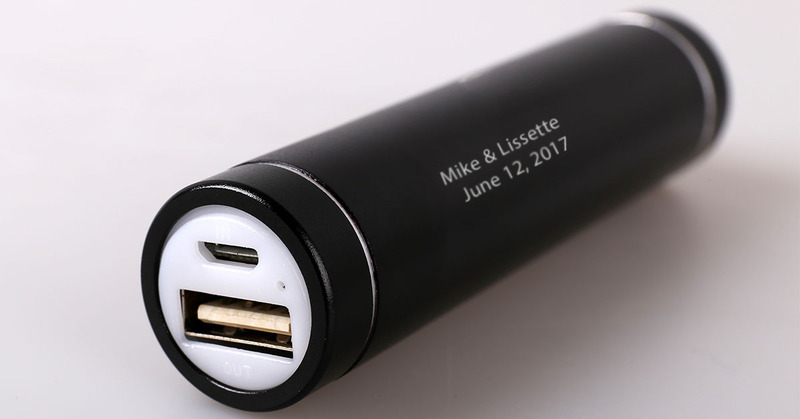 Mobile batteries and chargers have large imprint areas that can be personalized with a number of concepts, such as the names of the bride and groom plus the event date. You could even utilize the mobile batteries as an interesting table decoration, that way, guests can use their new souvenir the moment they start partying! For a thoughtful twist, you can bundle them with other items you may find in a care package, and give them as a hotel welcome gift to the guests who travel from out of town. Where there's a matrimonial celebration, you can bet there will be congratulatory drinks. 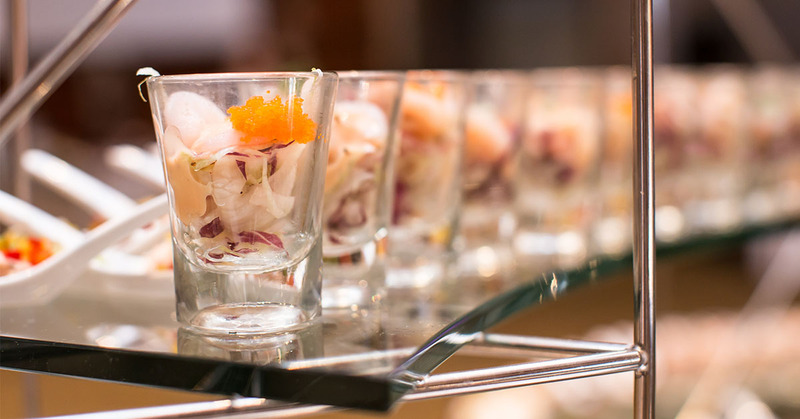 You can share a toast and make that moment a bit more special with customized shot glasses, which also make excellent table decorations, too. With so many different kinds to choose from, you won't run out of innovative ways to display them! Guests will love sitting down to a place setting with their very own customized shot glass, which you can place on the table for each individual and surround each one with confetti or candy. Another way to pleasantly surprise your guests would be to have your bartender or restaurant vendor use the customized shot glasses for anyone who orders a hard spirit! For parties at night, a light-up version is one of the most anticipated accessories because it flashes different colors and looks beautiful in the hands of happy guests who want to say “cheers!” In the case your client is seeking a more elegant approach, frosted shot glasses are the perfect touch because of their tall, slim design and highly attractive finish. A wedding party isn't complete without something your guests can happily snack on willingly throughout! Confetti makes for beautiful and decorative table accents, but you could give your client an upgrade with customized chocolate gift boxes or individually packaged pieces in the shape of romantic hearts, neat squares and round medallions. One way to present them is to place as many as you'd like inside the container of your choice, which you could fill with confetti and other small accessories guests might need during the celebration. If your client wants a fancier option for using candy as a table decoration, you can rely on any of our customizable packaging that can be used beyond the event! 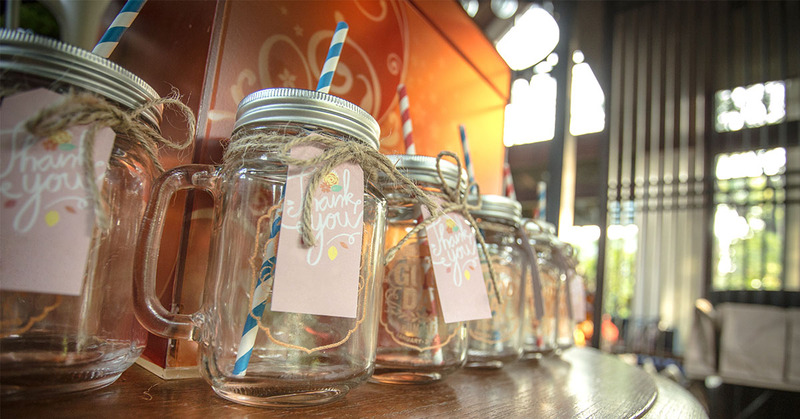 For example, tin canisters double as a pen holder your guests can enjoy long after your event. Sweets in customized packaging also make very desirable take-home items you can distribute when they leave the celebration, ensuring there isn't anyone who leaves their party favor behind. Engraved glassware is an elegant way to thank guests for coming to celebrate and can also make beautiful decorations for table settings. Summer is the best time to hold an evening wedding celebration, so take advantage of the work customized votives could do for the display of your client's tables! They could be given as party favors, or, burned during the celebration to create a romantic atmosphere for everyone. 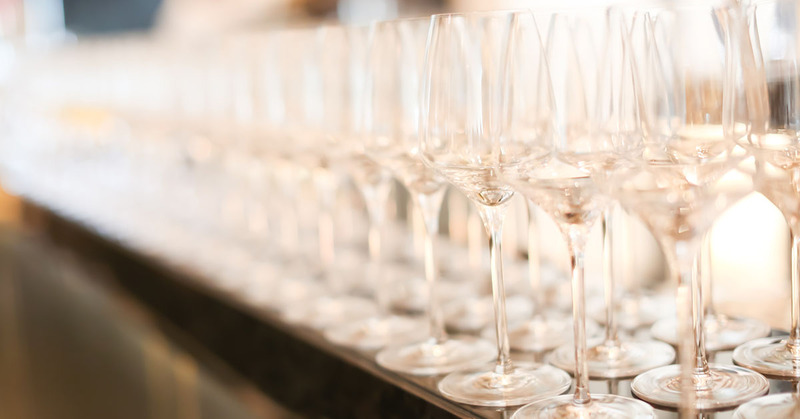 Champagne glasses are another tasteful accessory for any wedding because they come in a variety of different designs, crafted of either delicate glass or durable acrylic plastic. Mesmerizing, LED-illuminated champagne glasses, for example, are an excellent asset to have at any night-time celebration and has stunning, different-colored flashing lights. Plastic champagne glasses are easy for guests to take home, and can be re-used over and over again. You could turn them into beautiful table displays, too, by pre-filling them sweets or the toasting drink. 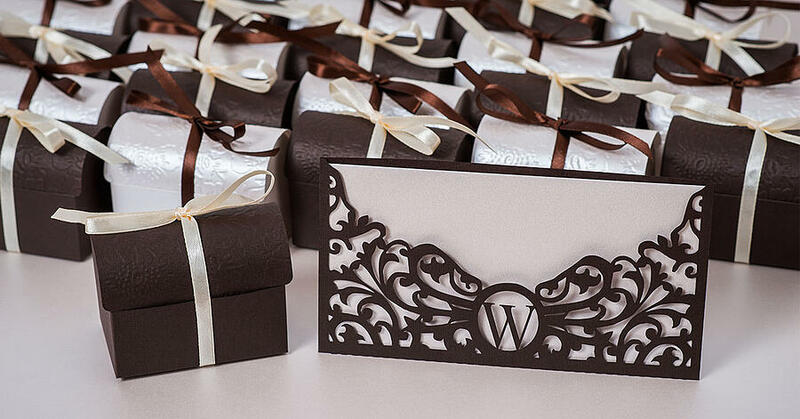 Wedding planners, we hope this has inspired you to investigate your options for memorable and fun wedding favors. We know that clients may be picky or particular about this area of their celebration, so let us be your destination for the most enjoyable, customized souvenirs! With so many different ways to present them, surprising your guests is easy for any kind of wedding, whether it's casual or upscale. Plus, guests will appreciate a tangible item that reminds them of the special day. If you have any more ideas on excellent wedding favors and methods of presenting them, we invite you to leave your comments in the section below.